Boy, do we have a deal for you! 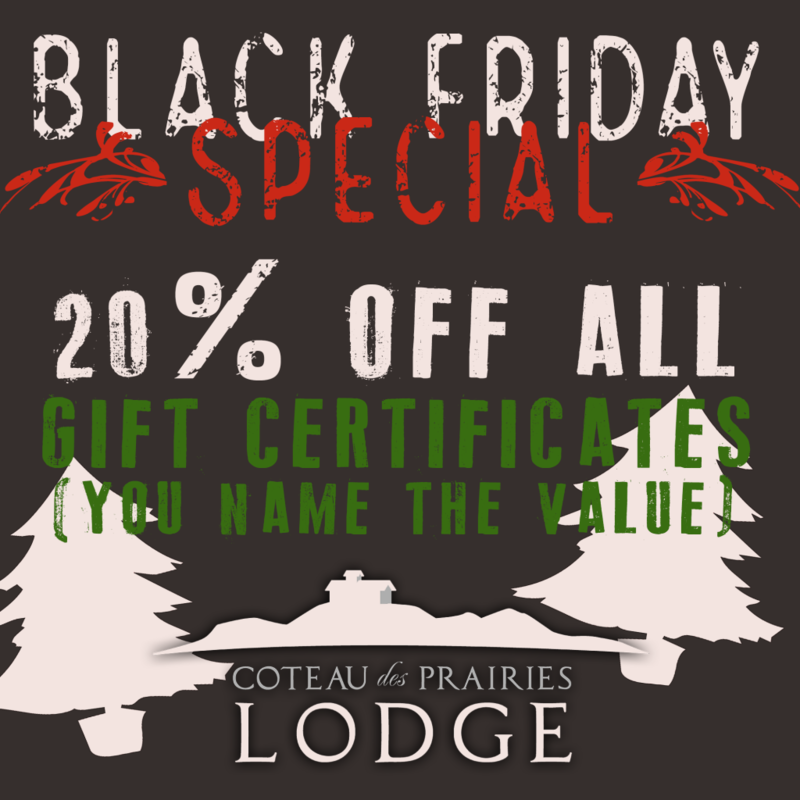 One day only, on Black Friday, receive 20% off gift certificates of any value. Certificates may be used for rooms, whole lodge rental, events, dining and merchandise. Some exclusions may apply. Quantities are limited. Call Olivia on Friday at 701-680-1175 to order. Leave a message if she doesn’t answer (or if you are calling while waiting in line at Walmart at 3am) and she will get back to you.